University of Arizona, Prevention Research Center (AzPRC). 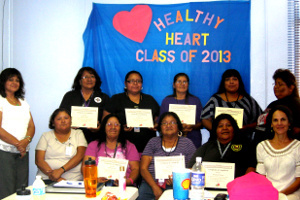 In January 2012, SEAHEC and partners launched the Arizona Healthy Hearts Initiative, a first step in building a broad based community health worker collaboration network. 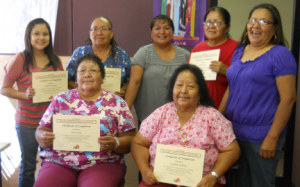 The network linked Arizona’s American Indian Community Health Representatives and Latino Promotores de Salud, connecting them to the AzCHOW Network, and providing them with resources for collaboration. This network will provide a foundation for future community health worker work force capacity building efforts. The community health workers who participated in trainings completed pre and post training surveys, as well as surveys on collaboration and computer literacy needs. 92% Rated training positively 93% Intend to change health habits 60% Increased teaching confidence level 100% Increased Heart Health Knowledge.